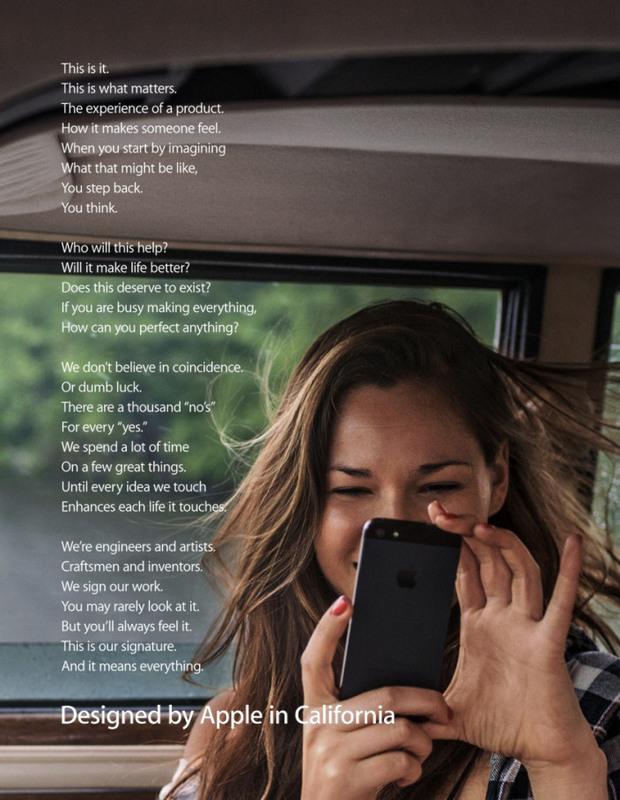 Earlier in 2013, Apple launched a new advertising campaign called Designed In California. I’ll be the first to admit that although I love Apple, there are things about their products that I find confusing and completely drive me nuts. Putting all that aside, I think that what Apple does brilliantly is create a brand … an experience. Apple has nailed the art of starting at the end and working backwards to create a great product. Their dedication to purpose, people, and product helps them ultimately craft experiences that after experiencing once, we cannot live without. Can you imagine life without your iPhone or MacBook? These are not just products, they are now integral parts of your every day life. This is the ultimate user experience.